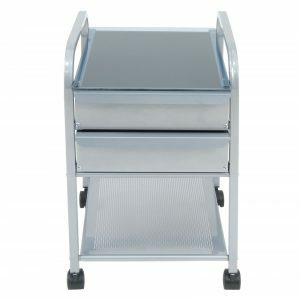 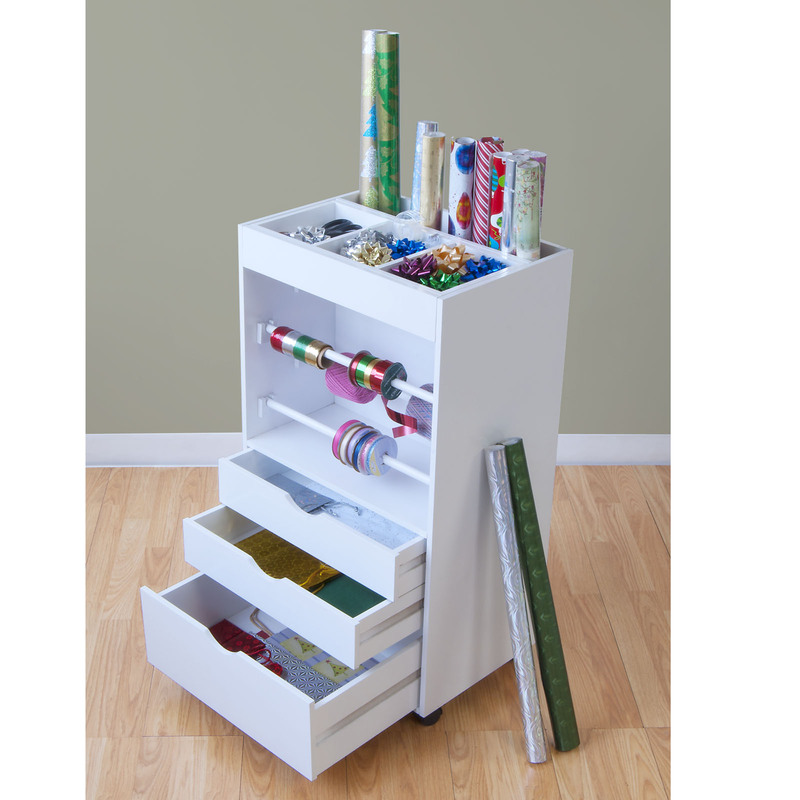 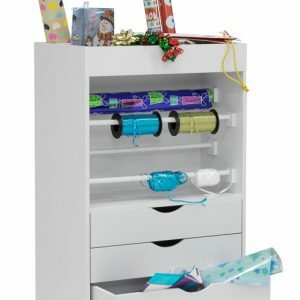 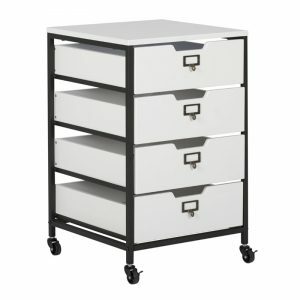 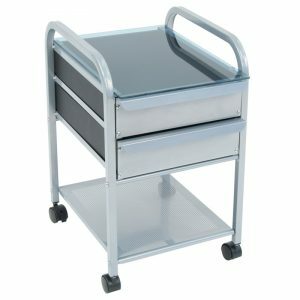 The Wrapping Cart is the perfect organizer for any crafter or hobbyist. 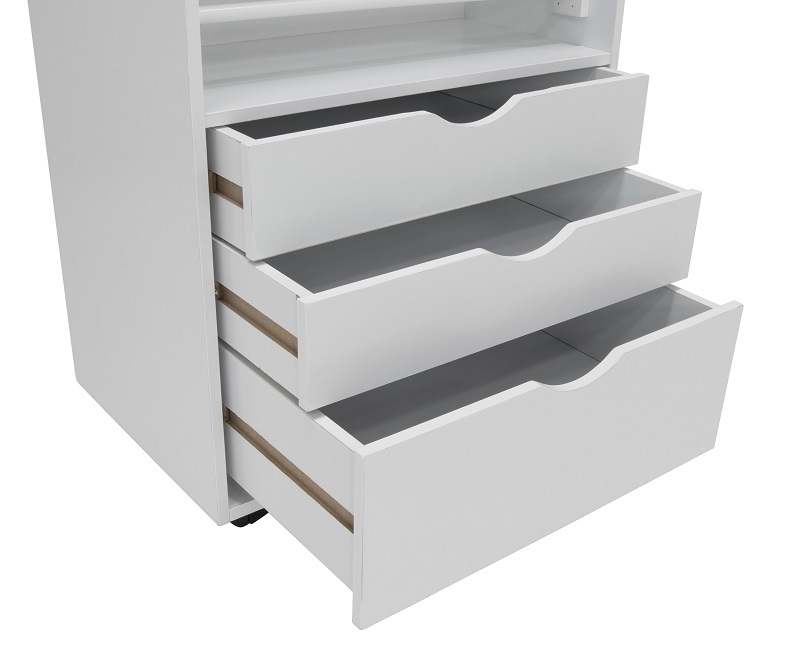 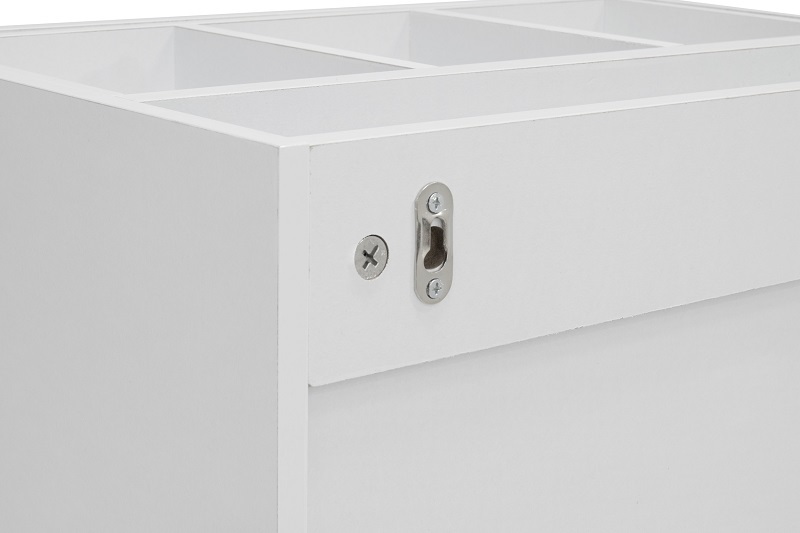 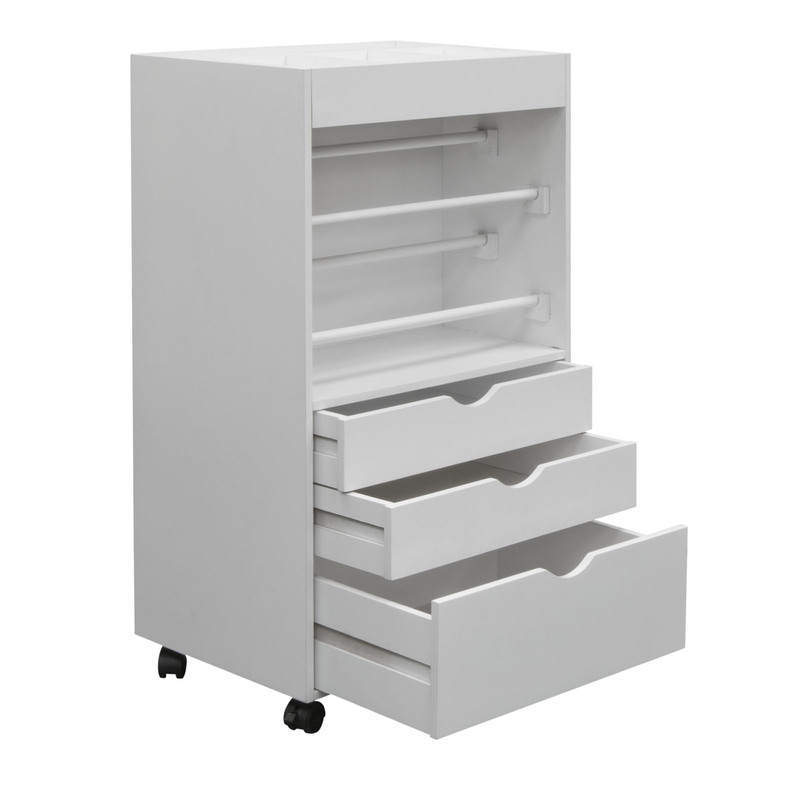 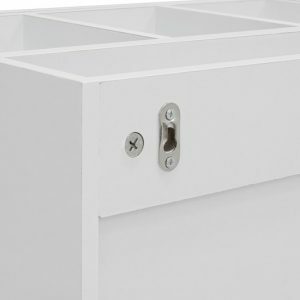 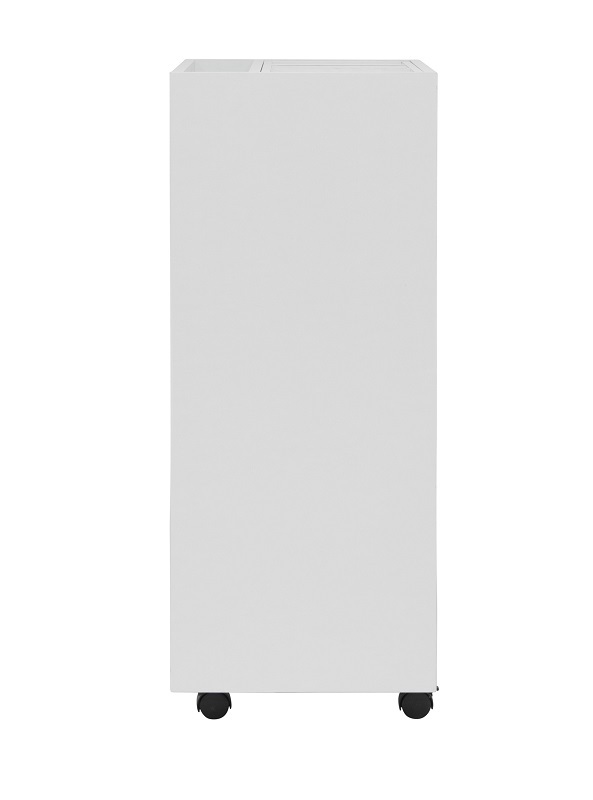 The cart features 11 different storage options designed to accommodate a variety of supplies. 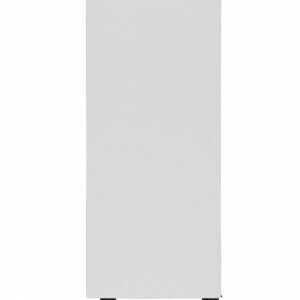 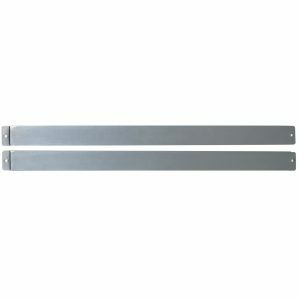 Four 19" poles can be used for ribbon, lace, fabric, etc. 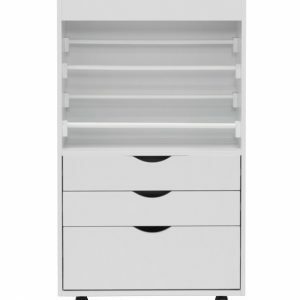 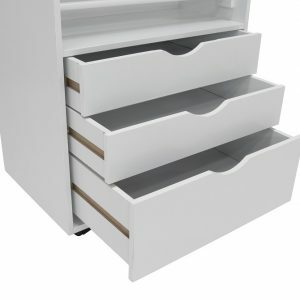 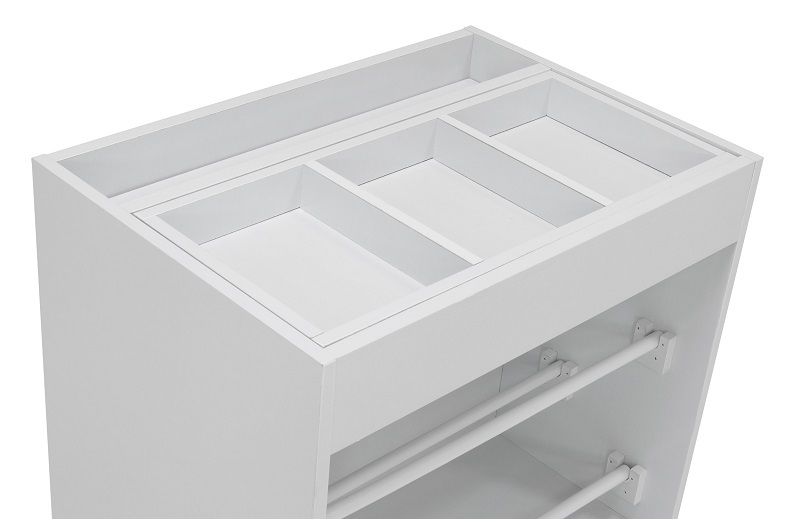 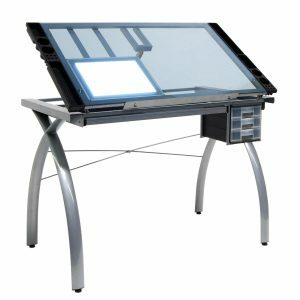 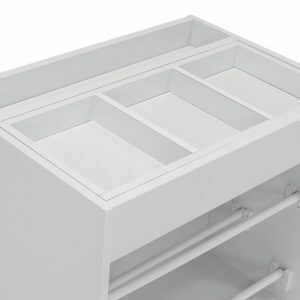 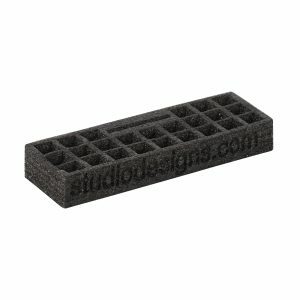 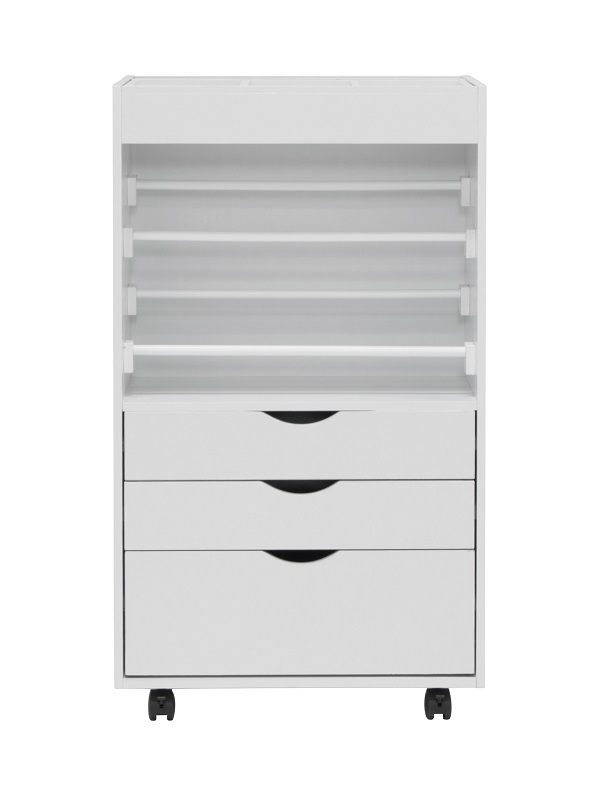 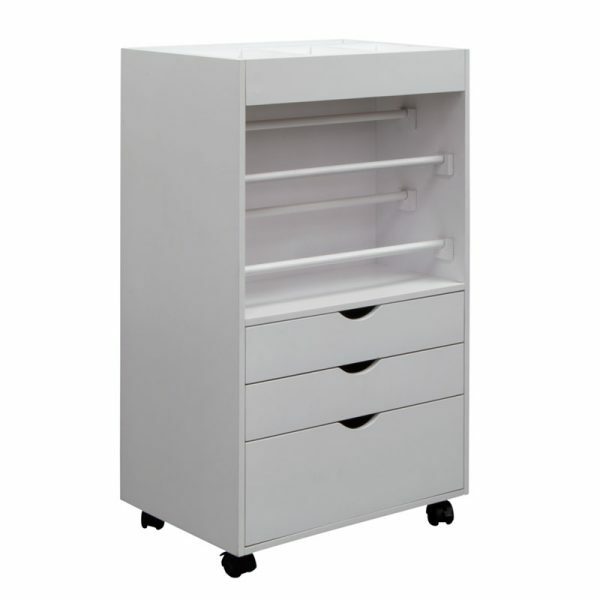 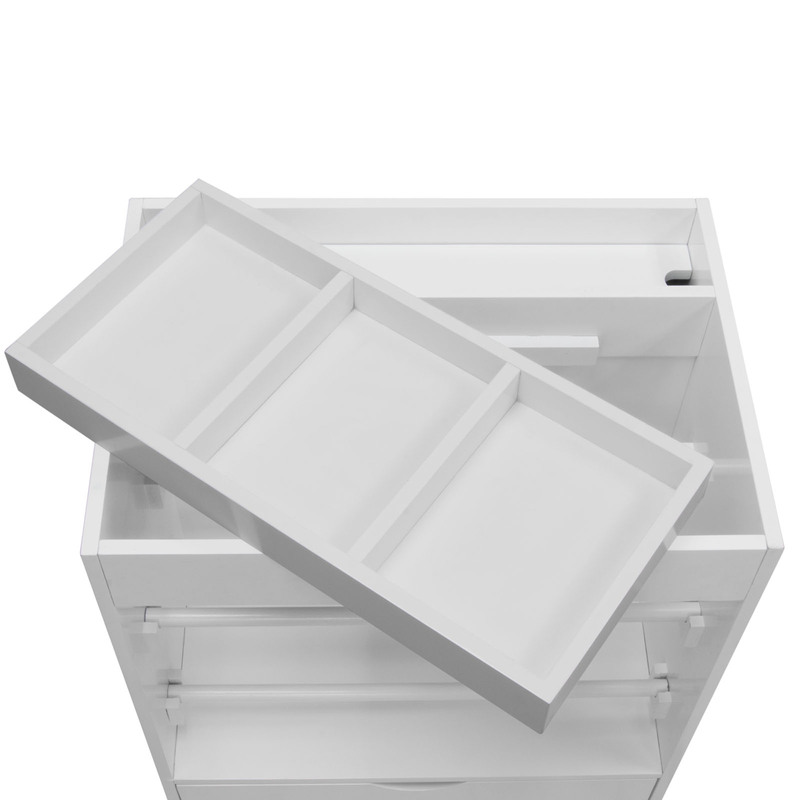 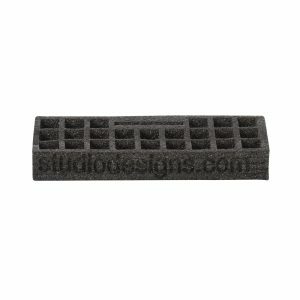 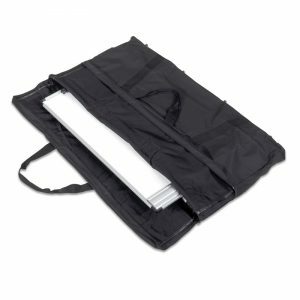 A 19"W x 9" D partitioned top storage space keeps your other supplies neat and orderly. 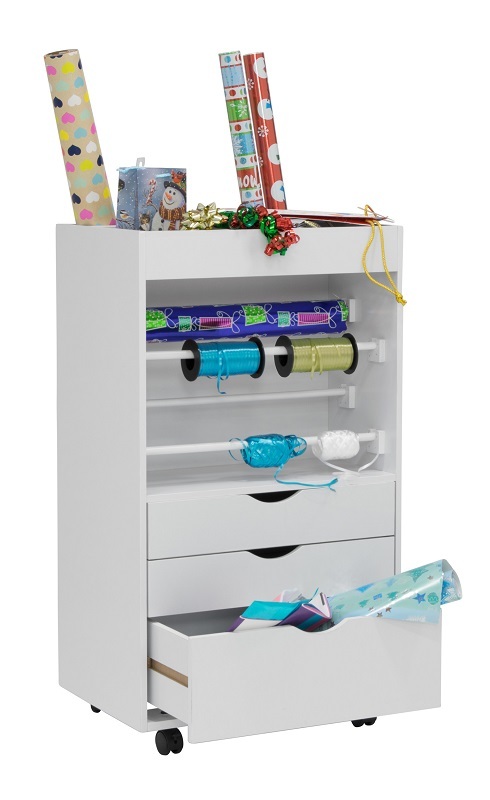 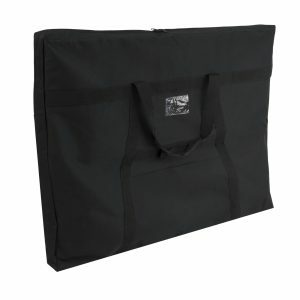 Also featured is a 17.5"D compartment for wrapping paper tubes.